Add up Aveo’s smart looks, surprising interior roominess and outstanding fuel economy – 27 mpg in the city and 35 mpg on the highway (manual transmission) – and it’s easy to understand why buyers from all walks of life have made it America’s best-selling economy car. 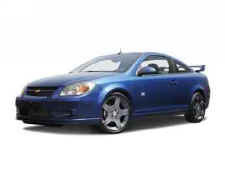 The Chevrolet Cobalt, launched in late 2004, expands its lineup in 2006 with the addition of SS coupe and sedan models, and revises the model strategy to now include the entry-level LS coupe and sedan, LT coupe and sedan, and the premium LTZ sedan. 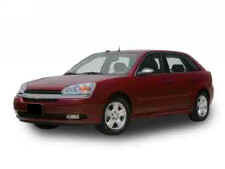 Returning for ’06 is the SS Supercharged coupe. Each model includes a specific interior, exterior appearance, wheels and tires, as well as a long list of standard and available features. 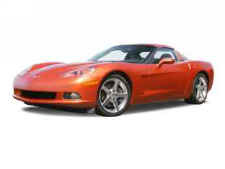 Model year 2006 will always be known as the year the 505-horsepower* Z06 was let loose on the sports car world. With its 505-horsepower (377 kw) LS7 7.0L engine, racing-bred suspension, hydroformed aluminum frame and unique bodywork, the Z06 is the fastest, most technologically advanced production model in Corvette’s 53-year history. The HHR’s unique design fuses elements of the 1949 Chevy Suburban – the original utility vehicle – and the SSR roadster. 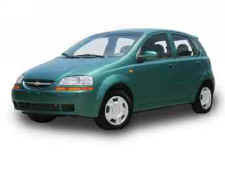 It is built on the same solid platform as the new Chevy Cobalt. An overall length of 176.2 inches (4,475 mm) and a cargo capacity of up to approximately 63.1cubic feet (1,787 L) give the five-passenger HHR easy-to-maneuver dimensions and room for just about any lifestyle interest. Its reconfigurable and convenient storage compartments accommodate everything from groceries to surfboards. 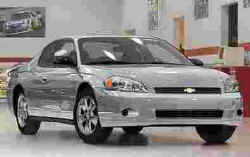 Quiet strength exemplifies the new 2006 Chevy Impala – an inherited attribute that is blended into a sporty sedan that offers stylish design, stirring performance and surprising details, including the latest version of the legendary small-block V-8 in the performance-oriented Impala SS. The 2006 Malibu SS and Malibu Maxx SS add excitement to the Malibu lineup, bringing a level of value-driven performance unique within the mid-car segment. The Malibu SS and Malibu Maxx SS are powered by a new, sophisticated 3.9L V-6 that uses variable valve timing and variable intake technology to help produce 240 horsepower (179 kw). * Unique interior and exterior appointments, along with sport-tuned suspensions and segment-largest 18-inch flangeless wheels, complete the SS packages. 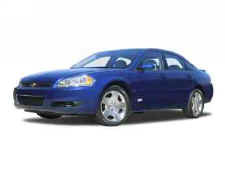 The aggressively styled 2006 Chevy Monte Carlo heats up the sizzling mid-car segment with enhanced premium-quality features, racing-inspired styling, a new family of powerful engines, as well as thoughtful attention to detail. A new look for the front and rear fascias – including bold headlamps and taillamps – is complemented by revised suspension systems that deliver comfortable, quiet and more confident ride and handling characteristics. These new ingredients improve on an already popular recipe for driving satisfaction.